Home → 000+ In Fundraising! 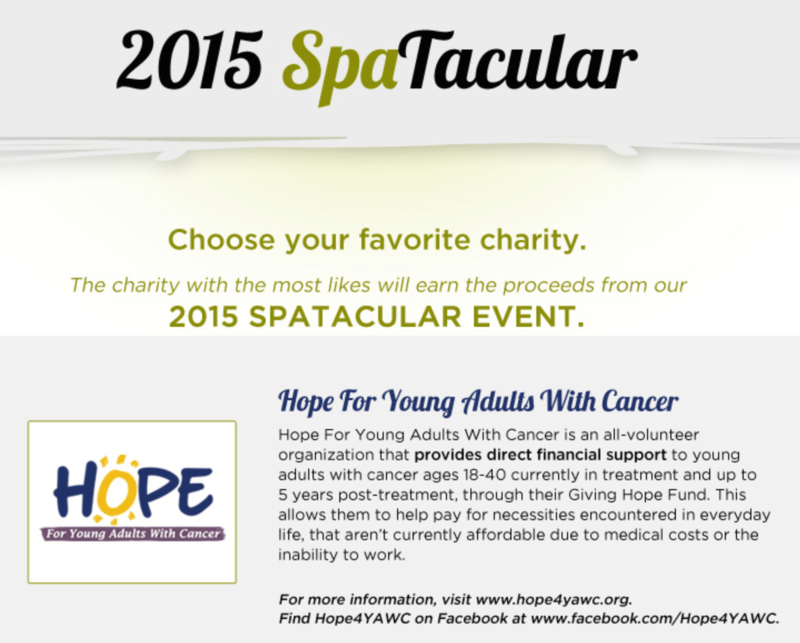 → “Like” Our Logo In The SpaTacular 2015 Album On Facebook! We Need Everyone’s Help On This One. The Charity With The Most Votes At The End Of March Of The 6 Finalists Will Be The Recipient Of Ginger Bay Salon & Spa‘s 2015 SpaTacular Fundraising Efforts Totalling $15,000+! 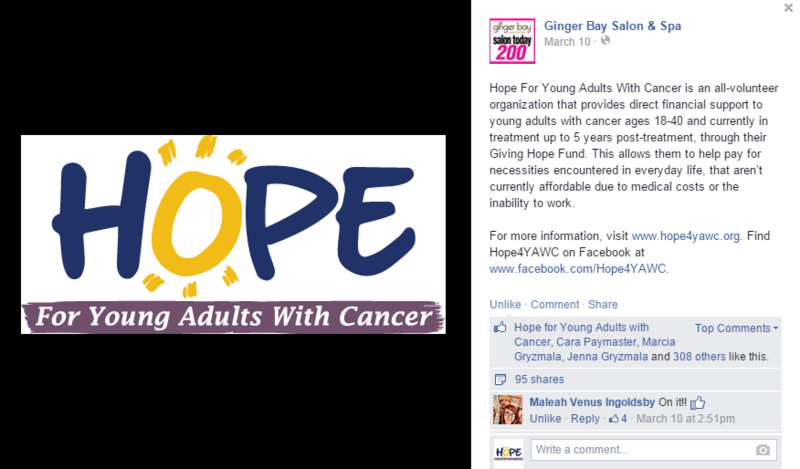 Please Share With All Of Your Friends & Help Us Fund Our Giving Hope Fund To Provide Direct Financial Support To Young Adults With Cancer!